Daniel J Schwerm, age 60, of Wauwatosa, WI went home peacefully May 16, 2017 after a valiant battle with COPD. He was born on February 27, 1957 in Milwaukee, WI; son of Donald and Margaret Steiner Schwerm. He grew up in Bayside, spent childhood summers on Lake Sinnissippi, and graduated from Dominican High School. As a young man, Danny worked various jobs including salvage yard assistant, gas-station attendant and bartender. His free time was spent fixing and riding his Harley along with listening to the music of Elvis and Johnny Cash. He continued his education at MSOE acquiring his Journeyman Machinist. On October 23, 1982 he married Rosemarie Mommaerts in Milwaukee. 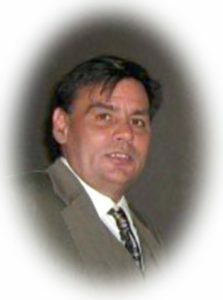 For over 35 years, Danny was a machinist for Trison Machine in Milwaukee. He was a simple man who enjoyed time with family and holidays, playing sheepshead and cribbage. Adoring and playing with his granddaughter Margaret filled his last days with pride and joy. Danny is survived by his wife Rosemarie; his children Danielle (Ryan) Hurley and John Schwerm; his granddaughters Nola and Margaret; his sisters Diane (Brian) Wagner, Marie Schwerm and Sue Schwerm; nieces, nephews, other relatives and friends. He is preceded in death by his parents and his brother John Schwerm. A Memorial Service to celebrate Danny’s life was held Saturday, May 27, 2017. Previous Post: Karrels, Dorothy L.